Specializes in Soviet Block Jet Aircraft & Drones / UAV. Alby Redick, owner of Aviation Classics, ACL, traveled in Soviet Block, purchased 21 different soviet Jet Fighter Aircraft for DOD & returned them to the U.S.
ACL wrote First FAA Inspection Programs for MIG 15, 17, 21, etc. Soviet Dissimilar Threat Force, purchasing, organizing & operating for military training. US Air force Kirtland NM, Supported Test flight, logistic Support & pilots operations. Drone, Envisioned & Designed First Commercial off the Shelf (COTS) Full Scale Drone, using Soviet MIG 15 aircraft. Modified Beechcraft Surplus Drone (KDB1) improved wings & Six Cylinder Heavy Fuel Engine in concert with GSE, the first "Vindicator". Provided SNC hardware integration, Sat Coms, Date Link, Servo's & radar arrays for their prototype airplane 404. VContractor Field Team for US Air force, National Guard to meet governmental requirements regarding Avionics' Installation & Aircraft modification . Northrup Grumman, flight testing support C-130 program. Built Flying Engine Test Bed for Williams Jet International. Air Force RC26 Program (Florida) Installation Electronics Video Links & Tracking Devices for classified use. Supports BLM Air Tanker & Army Guard Operations. C-130, RTIC PROGRAM (REAL TIME INFORMATION IN THE COCKPIT): as a second tier Sub-Contractor under NGIS RTIC Modification Contract H94003‐04‐D‐0005.0030, ACL provided FAA licensed personnel for initial Site Survey of C-130H 2.0-3.0 Block aircraft, and follow-on initial and ongoing installation design and integration phase modifications. 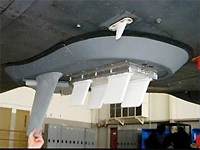 ACL provided the necessary FAA licensed Airframe & Powerplant technicians and supervisor for the initial 12 TVI installs (Test Vehicle Installations), and for follow-on LRIP installs (Low Rate Initial Production) at ANG/AFRC installations in Charleston, West Virginia, Youngstown, Ohio, Minneapolis, Minnesota, Schenectady, New York and Louisville, Kentucky. ACL also participated in the Flight Test Program on the first two RTIC TVI’s working with Northrop Grumman Engineers at DMAFB, and performed Quality Control Inspections and necessary Field Modifications with Northrop Grumman staff. 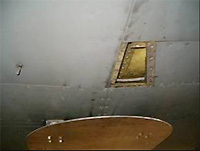 Compliance with Air Force Tool Control and Accountability procedures. ACL completed 24 of the C-130 RTIC modifications prior to its request to be contractually released from Borsight LLC. RC-26B, DF-12 MOUNT: ACL provided recent services to the USAF’s RC-26 Program: as a Sub-Contractor. 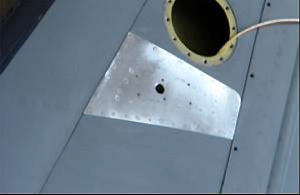 ACL designed, fabricated, and kitted the DF-12 Antenna Mount Assembly, manufacturing hardpoints, panels, aerodynamic fairing, and coaxial cables. 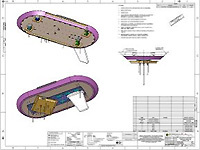 Working with a local engineering, structural and aerodynamic analysis firm, ACL created necessary FAA documentation, Form 337, and Form 8110-3’s and complete Data Packages. 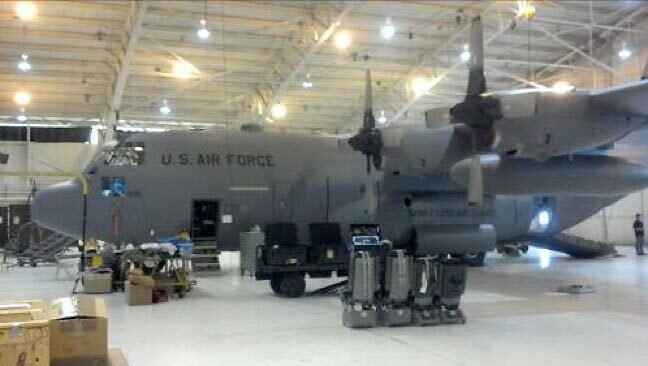 ACL’s FAA licensed mechanics & supervisory staff travelled and installed the DF-12 Assembly’s on two Hurlburt based C-26B’s. An additional 4 Kits, were assembled and shipped to LSI, San Antonio, Texas to be installed on aircraft operating overseas. 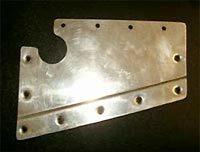 RC-26B, UAM (UNIVERSAL ANTENNA MOUNT): as a Sub-Contractor, and working closely with LSI and the Air Force, Aviation Classics Ltd. designed, fabricated, and kitted the UNIVERSAL Antenna Mount, manufacturing hardpoints, panels, aerodynamic fairing, and coaxial cables. 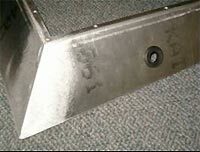 Working with a local engineering, structural and aerodynamic analysis firm, ACL created necessary FAA documentation, Form 337, and Form 8110-3’s. 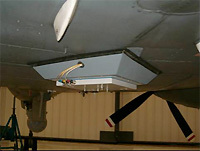 ACL’s FAA licensed mechanics and supervisory staff travelled and installed the UAM on two Hurlburt based C-26B’s. An additional 4 Kits, were assembled and shipped to LSI, San Antonio, Texas to be installed on aircraft operating overseas. Universal Antenna Mount: Design Stage UAM Prototype: Initial Fit Universal Antenna Mount Universal Antenna Mount. 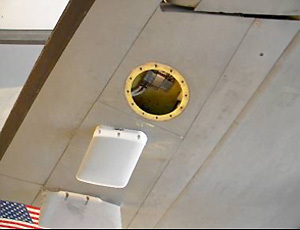 RC-26B, P-SYSTEM ANTENNA & MODIFICATION: ACL, as a Sub-Contractor and working closely with LSI, the AFRL, and the Air Force, designed and fabricated necessary doublers, and modified the vertical stabilizer to accept Lasar antennas, routing necessary coaxial cables to P-Sys components. ACL created necessary FAA documentation, Form 337, and Form 8110-3’s as acceptable data. 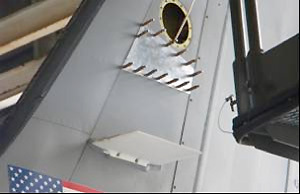 ACL’s FAA licensed mechanics and supervisory staff travelled and installed the P-Sys Antenna Modification on one Hurlburt based C-26B. 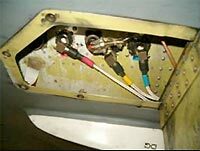 P-SYS RANGE ENHANCEMENT: In addition, ACL personnel studied and troubleshot the operational RC-26B P-System, and Ground Station at Hurlburt. ACL then designed a diversity receiver, and provided necessary modifications and component changes to the P-System equipped RC-26B configuration: the result increased P-Sys transmit and receive ranges from intermittent 5/10 miles, to 85 miles--steady state. ACL also installed a ground based transmit capability for the 745th Squadron, by modifying the P-Sys ground receive tower, adding a transmit antenna and a second RF Amp. ACL's highly diverse technical and operational expertise in U.S. and Foreign Military Aviation, as well as Civilian Aviation, gives us the capability and flexibility to support a wide variety of programs. Thank you in advance for your consideration of Aviation Classics Ltd., and our innovative solutions.